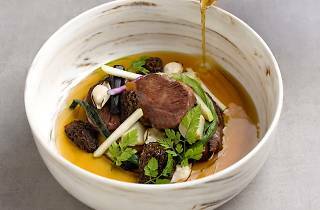 Celebrate Pollen’s fifth anniversary with a special limited-time-only tasting menu ($155/dinner and $75/lunch, comes with beverages) anchored around five beautifully plated dishes that tell the stories of the restaurant and chef Steve Allen’s journeys while letting seasonal produce shine. 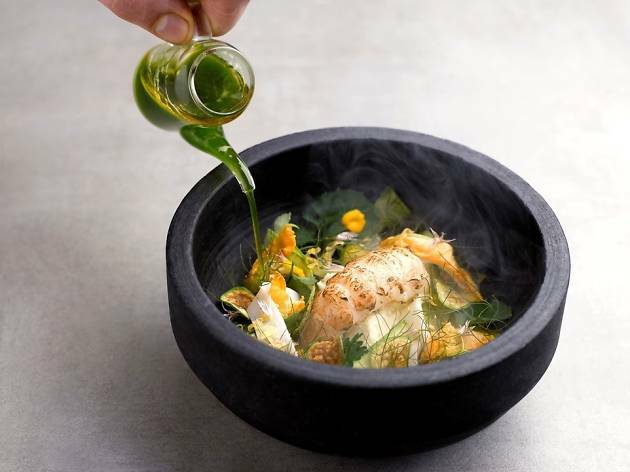 The first dish, Pollen’s Garden, is a medley of 16 seasonal ingredients left raw, pickled, roasted, burnt or compressed that represents Pollen on a plate. 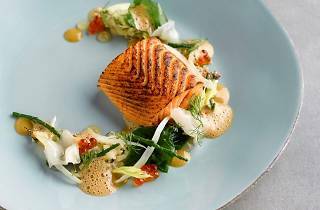 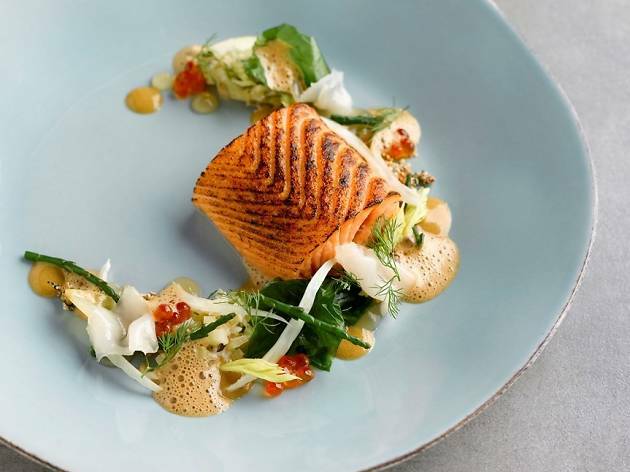 The second and third dishes, Langoustine & Lardo and Sea & Sand, pay homage to Italian sous chef Carmine La-Farciola’s and English chef Steve’s heritages – the former is a surf and turf while the latter highlights Akora King salmon poached in seaweed. 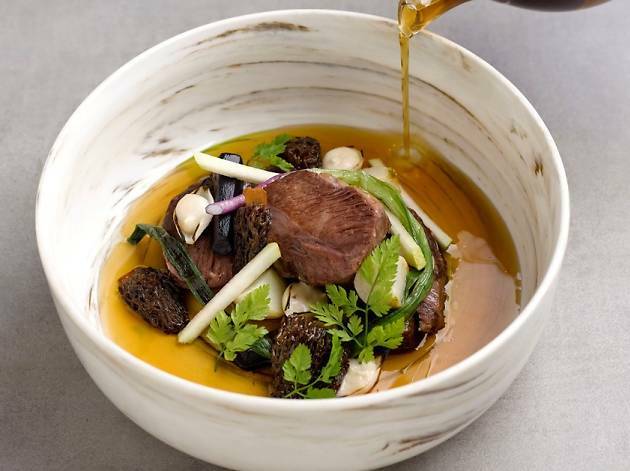 The fourth dish, Beef Cheek Tea, is a cheeky take on the local’s favourite bak kut teh featuring slow-cooked fork-tender beef cheeks. 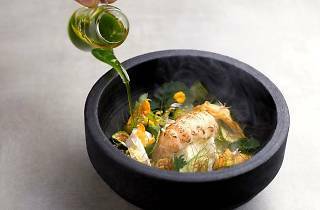 Dessert comes in two parts: an English breakfast tea which turns into a jelly when in contact with milk ice cream and a Singapore Sling-inspired fresh cherry dessert served with warm cherry jus and topped with a dome of cherry parfait lightly frozen in liquid nitrogen.